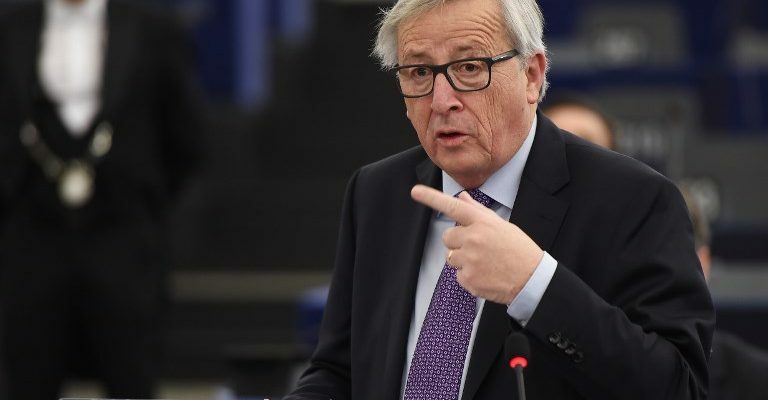 The European Union and Turkey will see no progress in their relations as long as Turkey holds journalists in prison, the president of the European Commission Jean-Claude Juncker said on Friday (12/01/2018) at a news conference in Bulgaria. The president of the European Commission made this comment following the news that a Criminal Court in Istanbul defied the Turkish Constitutional Court’s decision ruling that the journalists’ rights had been violated and subsequently to release imprisoned journalists Mehmet Altan and Sahin Alpay. “Turkey is moving away from its European ambitions of the past and we are going to have to see what kind of progress Turkey makes in the coming months. But there will not be any kind of progress while there are journalists in Turkish jails,” said EC President Juncker. The president of the European Commission has not been the only person in the European Union to condemn the court’s decision. On the same day, MEP Rebecca Harms together with other members of the European Parliament and members of the the EP-Turkey Forum issued a statement calling for the release of the journalists – and all unjustly imprisoned journalists in Turkey – and the overturning of the court’s refusal to release them. If the lower courts do not respect the decision of the Turkish Constitutional court it will result in a further deterioration of Turkey’s constitutional crisis and the erosion of rule of law and the separation of powers”, states the release from the European Parliament Turkey Forum. The EFJ has issued a joint declaration demanding that the journalists be freed immediately following the decision of the Turkish Constitutional Court.